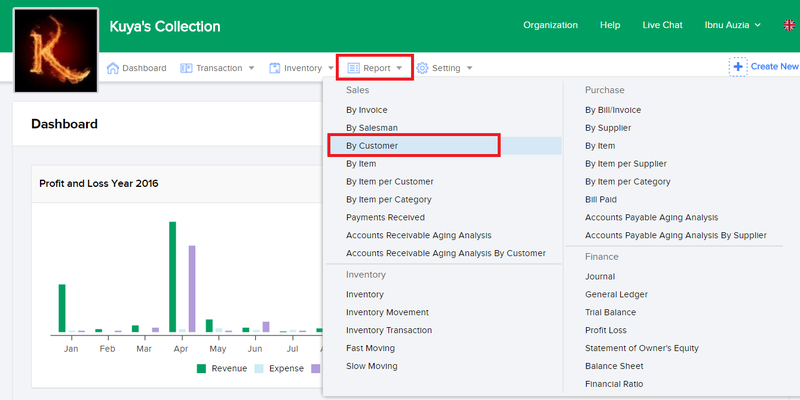 The sales report based on customers feature filters and display sales invoices based on customers. Input the starting date of the search range of data you want to see under From. Put an end date range of the data you want to see under To. To sort the data based on the currency used, select the type of currency under Currency. To sort the invoices based on the classification, select the type of classification under Classification. Click on View to see the invoices of the data you filtered. To print, click on the Print button and select Print Excel to print the invoicing data into an Excel file. Select Print PDF to print the invoicing data into a PDF file.